Career development plan - Where to Start for a Ballet Career? I'm 13 years old , and I love ballet . I've been doing it since I was three , and I really would like a professional career in it. Infact , there's nothing I would like more! I'm told I have lots of potential , and I'm taking lots of associates classes . At the moment , I'm doing two ballet classes ( and one tap ) a week. It's all we can afford and have the time for , as I have two other brothers that also do clubs /hobbies . There are no other company's /classes near me , as I live in the middle of no where . I would love to do more , but it's near impossible . I'm told that this age is crucial , and need to start working hard if I wish to pursue a career in ballet . Ballet school is also a no no , we don't have the money , even if I did get a scholarship .i know I need to work hard , and I'm willing to , but where do I even begin ? I desperately want a career in ballet , but I'm at a huge disadvantage , and I don't know where to start !! To:- Career development plan - Where to Start for a Ballet Career? than a ballet school will eventually have to be a possibility for you. You say you know you’ll need to work hard, but worried where you’ll begin. Well, the thought of a vocational ballet school may feel daunting at first but it will prepare you for a professional career to a huge advantage compared to local dance schools. Of course, every dancer has to start somewhere and I loved my first dance school which I began at aged 8 until I was 11 when I joined a vocational school to train more seriously. Even though you don’t know where to start right now, a ballet school would help guide you towards your career and the teachers would support you so you wouldn’t have to do it all alone! In fact, I wouldn’t have known where to start either without the help of my ballet teachers. It is important at your age to keep training in ballet and develop your potential to be ready when you’re older. Your age now is very crucial, because it will determine your ability for when your 16 and older. By the age of 16, you really should be training at a professional school. Every ballet dancer I know in a ballet company has joined from a vocational dance school at least from the age of 16. It’s something for you to think about because it is necessary if you desperately want a career in ballet. It can feel scary to step out of your comfort zone to the real world of ballet, but the sooner you take that step the closer you’ll get to your career in ballet. I hope this helps! - Keep in touch. Comments for Career development plan - Where to Start for a Ballet Career? Hi again , it's Eva( wales ) . I didn't know how to contact you again, so I hope this is ok ! Thank you so much !! Your reply was more than I could of hoped for . I recently went to elmhurst ballet school ( Birmingham , England ,uk) for a associates class, and my mum has agreed that when I'm 15 , I can audition for a scholarship !! That gives me 3 years to work for it . I'm going to work my hardest . I now have five lessons a week , which is a bit tiring at the moment , but I love it . My teacher agreed that if I help her little toddlers classes, I could have two of mine free. I know that the chances of getting into a good ballet school / collage etc are very slim , so what would be plan b if I didn't ?? Please keep in mind I am in the uk ! Thank you for your reply, I love to keep in touch and hear from you again! WOW that is excellent news about Elmhurst and it is a great school. Keep working towards that goal, but it's also wise to keep your options open like you say with a plan B. I think you should consider auditioning for more schools like Elmhurst in the UK. Have a look at Tring, English National Ballet, Central School of Ballet, Laines... that's a variety of different training schools in the UK similar to Elmhurst. It would be good to audition for at least one more school, because sometimes even talented dancers can get missed easily at an audition. Therefore, doing more auditions will increase your chances. Otherwise, I suggest looking at academics and colleges to study at incase you don't get accepted. It can feel deflating to know it's not a 100% guarantee you'll get into a ballet school, but remember how competitive it is and if it's not the right profession for you it's better to commit to a more academic route anyway. However, don't give up just yet at all but keep your options open which includes balancing your academics and ballet. It sounds you have a great plan A and superb you can help your dance teacher out for free classes. 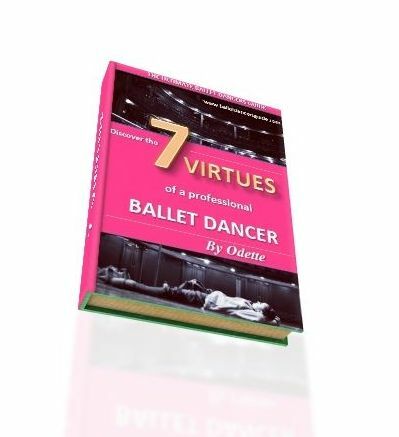 This is all about being a 'savvy' dancer which you can see is one of the key chapters in my eBook "7 Virtues of a Professional Dancer". Great job!! Keep in touch! You can reply again here to get in contact, or feel free to make a new query whenever you like.